The premise of this book is that within the history of our world there have always been Guardians and Gates. One is good and one is not so good. The Guardian and Gate have always been sisters and the role each sister plays is determined by birth order. There is a lot of mystery within this story. People have died and have left incomplete messages and tasks that need to be deciphered and completed or literally all hell will break loose. There are tons of souls dying to get back to the living world. There is one fierce soul determined to break through the gate and rule the world…Samael… he must be stopped. Alice and Lia are the sisters who play the key roles in this story. 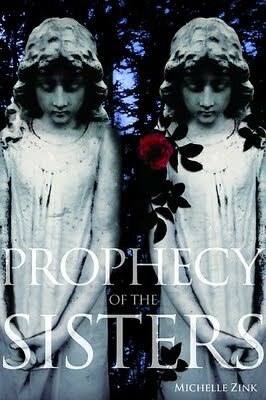 In the beginning of the novel the roles of the sisters were unclear but as the story progresses the plight of one sister is key to the unfolding of the story. Finding others who are destined to help her is tantamount to saving life as we know it. One sister is true and honest and will put the safety of others first. The other sister is determined to open the Gate and let Samael wreak havoc on the Earth that we know. I love the era of this book. Horse drawn carriages and lamps that have to be lit by hand and servants and long dresses and chaperones. Tea in the drawing room…pens that must be dipped into ink…no IPADS or KINDLES anywhere. I thought the story was beautifully written and quite captivating. Characters were beautifully portrayed from Aunt Virginia to Henry to Edmond the driver…each character had a well explained personality. I must say that I read the book quickly. This was because there were so many exciting parts I had to know what happened next. There is a Book 2 which I will be reading shortly. Hi, Patty, thanks for visiting my blog. My blogging journey is a long story, lol. I didn't start out planning to create so many, but the actual creating of the blogs is a lot of fun for me. I actually combined a couple of them yesterday, so now I have one less than I did have! I have to admit that I'm just drawn to that cover, so I've wanted to read that book ever since it came out – it sounds wonderful. I loved this book and the author is such a lovely person who I had the pleasure of meeting last year. I have the second one as well and need to read it asap. 🙂 Glad you enjoyed it!